Love Bug Living: Copy Cat Closet - Sequins! Copy Cat Closet - Sequins! This week's Copy Cat Closet Challenge is Sequins! Perfect fun outfit for the Holiday season. Not only are they fun for parties, but they can be great for work, a night out, or even a casual outfit. Interested in creating and linking up your own sequin challenge outfit? Head on over to Ma Nouvelle Mode or The Grant Life to share! For the evening look, simply remove the jacket for a cute look to wear to dinner or out with friends. 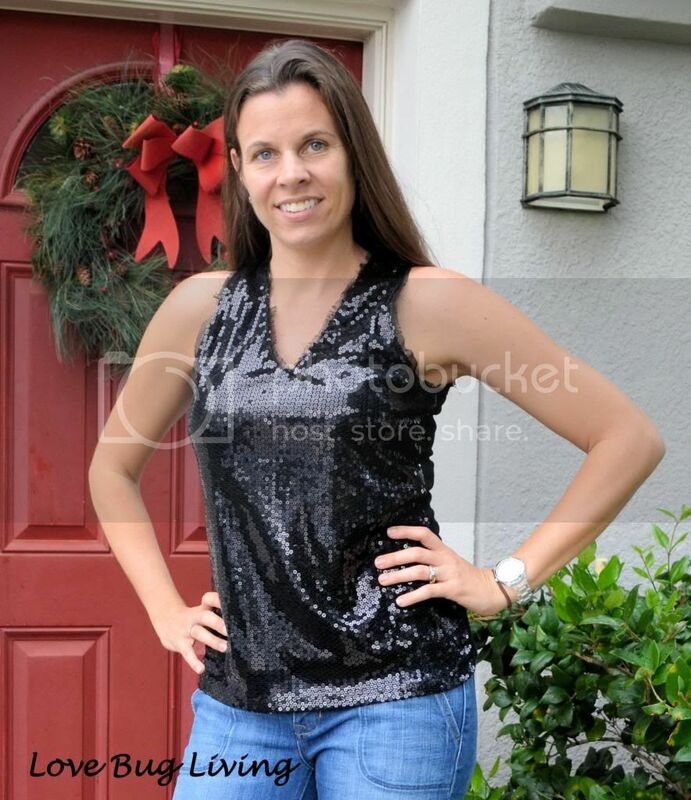 For a more casual look, simply pair your sequin top with some jeans and heels. Fun for a night out or more casual with some flats. Not ready for a sequin outfit? Maybe try to glam up an accessory, like your shoes! Glitter is sequins for your feet. Always fun and festive. They give any outfit that extra bling. Whatever bling you decide to wear, have fun with it! Oh I love this! And I love that top, don't you love TJMaxx? And I love the way you wore it so many ways - so cute! It shows you can wear sequins no matter what!